FIRST Tech Challenge and our current season game, FIRST RELIC RECOVERY Presented by Qualcomm®! Our season gets started in early September with a Kickoff and Game Reveal, held now in 3 different locations. After that, rookie teams can join us throughout the season, though it is much easier to join before November, as we begin to play in our Leagues then. Teams can join us at any point in time up until our InterLeague Tournaments begin in January, though they will be having a shorter first season than teams who started in November. Here are some FAQs for a new team to get you started. At any time, please contact us at community@socalftc.com for help, a digital hand to hold, and resources to know about as a new team. Q: What is FIRST Tech Challenge? 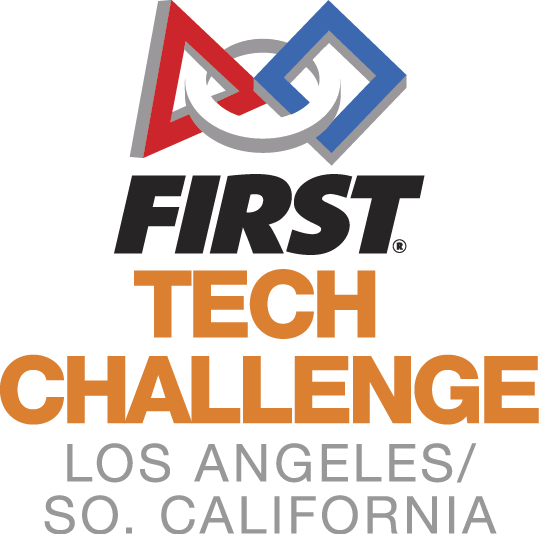 A: FIRST Tech Challenge is a competition-based robot design, build, and compete program for 7th-12th graders across the world. Each team is made up of 2-15 7th-12th graders and together build a 18x18x18″ max robot from parts to meet the game challenge for each season. The game is revealed each September, and teams compete during the season with/against other teams in a 12’x12′ field in front of an audience. Teams win both for on-field and judged achievements in anything from design and engineering to community engagement and video storytelling. Teams can advance to the Regional Championship (February 24), and from there to West SuperRegional (March) and a World Championship (April). For full information, you can find lots of resources at firstinspires.org. Q: I have another adult/teacher and a group of 2-15 kids — we’re ready to start a team! How do we get started? A: To start, your first stop is to contact FIRST at firstinspires.org and register your team and 2 mentors. This PDF explains the process in more detail. Both mentors will need to go through Youth Protection clearance before finalizing registration, but you can get started in the meantime. Next, email us at community@socalftc.com to sign up for a League spot, let us know you are excited and joining us, and set up your registration with the League system. FIRST has a checklist of resources and links to get started at this link and in this PDF. Q: How much does the first year of a team cost? A: A team can get started for about $3,000 in their first year, if they stay within the region to compete. The FIRST registration is $275 and the Season Fee for our region to compete in 4 League Meets and 1 InterLeague Tournament (ILT) is $300, both due upfront. The Kit of Parts can be purchased along with FIRST Registration at their site, but the team is not limited to those parts and may want to buy raw materials or other elements. Teams may need power tools and other equipment, based on what they already have via their school, parents, or local resources. You may buy the field perimeter and mats from Andy Mark ($825 before shipping), which will last you multiple seasons, or can build your own perimeter using a guide. You will probably want to buy a full or half-field of the year’s game elements from Andy Mark ($480 before shipping), or can create your own. In future years, you can reuse the Kit of Parts and electronics, though may want to replace components, buy new batteries, etc. Note: A high class problem is the costs increase significantly if the team advances. The Regional Championship, should the team advance, has an additional fee, and if the team advances to “West”, there is a $500 fee plus travel costs to Washington. For Worlds, it is a $1,000 fee plus travel costs to Houston. Q: Is there Grant money available? A: Yes, though teams may need to move quickly to get it. School teams or 501c3 organizations that can prove need can get grants at firstinspires.org before they complete registration. Our region has some need-based funds for rookie and second-year teams from schools or 501c3 organizations at the beginning of the seasons. Most teams raise funds within their own communities and approach local organizations for grants, funding, and in-kind support. Q: I am a parent of a great 7th-12th grader, and would like to get them on a team A: Excellent! Our teams are made up of 2-15 7th-12th graders, with most of them school-based teams of around 11 students. Each team needs 2 adult mentors, and does NOT have to be at a school. We have great community teams as well who do marvelously in the program locally and all the way to the World Championships. First, do you know if your child’s school has a team? It is easiest to start a team or join a team that is connected with a school and great fellow classmates. If not, the best results come from starting a team with friends of your child in your local community. You will need another adult to get started as a Mentor, plus at least 1 other great child. (We suggest 4-5 is a good number.) We tend to have very few spots to “place” kids in teams. Community teams tend to be local to their neighborhood, and tend to be only around 15% of our teams. Q: I am a parent of a great 1st-6th grader, and would like to get them on a team A: Excellent! There are two FIRST programs for elementary age roboticists: FIRST Lego League and FIRST Lego League Jr. Check with your school or homeschool friends — do they have a team already? Can you help set one up? Again, it is easiest to start a team or join a team that is connected with a school and great fellow classmates. If not, the best results come from starting a team with friends of your child in your local community. Information on FIRST Lego League for the Los Angeles area can be found at http://www.la-fll.org/. Q: Is there curriculum to help me coach / teach / mentor the team? A: There are both resources and curriculum. You can find resources at the FIRST website at this link. After you register, you also can use a complete 2-semester curriculum, housed with a password at Schoology and developed by FIRST for all its teams.